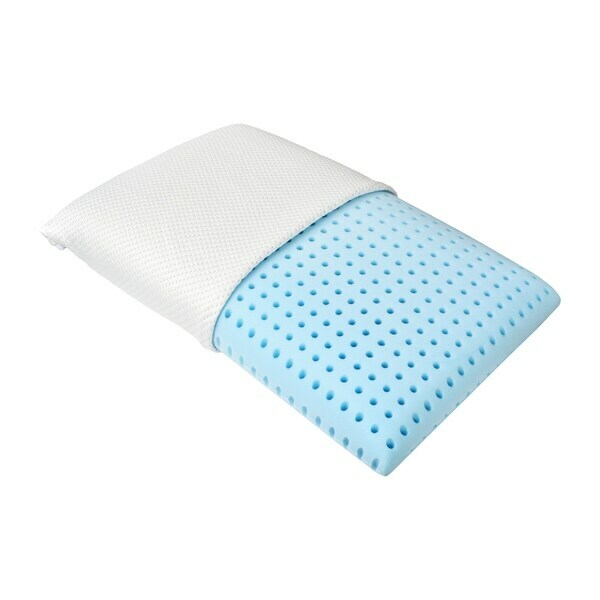 The natural oils used in each pillow are an important part of the foam's chemistry. Inspired by nature and the beauty that surrounds us these pillows are made up of formulas that took years to develop. We've been able to create specialty pillows with high breathability and luxury feels. Standard Low Profile, 23.5 x 15.75 x 4.75 in, preferred by back and stomach sleepers. Queen Low Profile, 28.5 x 16.5 x 4.75 in, preferred by back and stomach sleepers. Queen High Profile, 28.5 x 16.5 x 6 in, preferred by side sleepers. King Mid Profile, 35.5 x 14 x 5.5 in, preferred by all sleepers. Dimensions 14.0 In. X 35.5 In. X 5.5 In.